Given the fact that Google has recently taken on a ‘mobile first approach’ to online searches, it is only fitting that Bing is following suit with this trend by adding expanded search ads (ETA) to its ads interface as well. This is beneficial to businesses because it widens their online presence and makes them more accessible to a larger variety of potential customers whose main method of searching is from their mobile devices. 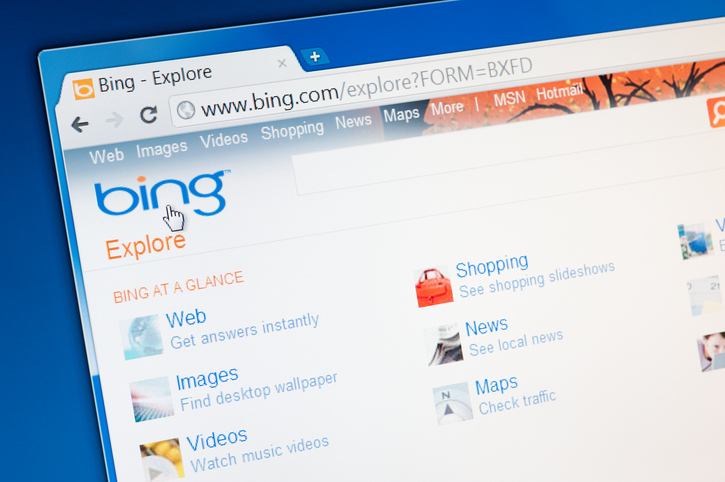 Of course, it also means businesses will be encouraged to modify their online advertising strategies in order to comply with these new Bing ads. At this point, it is too soon to tell how the Bing ETA revamp will actually impact click-through-rates (CTR) because it is still in its beta-testing period and will not officially be launched until December. Based on the success Google ads has reported with their recent modifications, however, it is estimated that Bing ads will have a fighting chance with this new interface because Bing has improved on the layout where Google originally fell short. Bing’s expanded ads interface will have a very similar construct to Google’s with a few differentiations. The most celebrated factor is that Bing has no immediate plans to phase out their currently running standard ads feature, which means that paid search advertisers will not need to edit their standard ad interfaces; although, it is highly recommended that they eventually take the plunge. If they do, they will have more flexibility to create more descriptive ads with more keywords and, in turn, this will increase their rankings on Bing’s Search Engine Results Pages. This new interface will help to revolutionize their advertising campaigns and it is also compatible with other advertising platforms. This means the same pre-existing standard or newly formulated expanded ad can be easily transferred to multiple platforms. It is worthwhile for paid search advertisers to modify their ad strategies by switching to ETAs because this allows them much more space within their advertisements. Previously, SERPs would only allow one title of 25 characters maximum and a description line of only 71 characters. With this update, advertisers are entitled to two headlines that are composed of 30 characters each; a description line that is 80 characters; and a display URL that leads directly to the web site or web page containing the product or service in question. This will yield optimal search results for companies on the web. Another valuable feature, as previously mentioned, is that Bing’s expanded ads interface gives the user the option of importing pre-existing ads from both Google and Yahoo! ads. All you have to do is click on ‘Manage’, then click on the drop-down menu entitled ‘ads and extensions’, and then select ‘Expanded Text Ads’. To import ads, simply click on the ‘Import’ tab and you should see the Google and Yahoo! advertising platforms. Only time will tell if adding Bing ads to your online advertising repertoire and activating the eta feature will actually increase your CTR, but it is certainly worth trying. Numero Uno Web Solutions is a trusted SEO company. Our precise, studied methods and contact form optimization services have benefited businesses in Toronto, Richmond Hill, Vaughan and we have even extended our services to Texas, Massachusetts, and Florida. To learn more about our content marketing techniques and how we can help improve your search profile, call us at 1-855-SEO-XPRT.